Wikipedia Is Wonderful but Weird. Let Us Help You Navigate It. Do you want to create a Wikipedia article for yourself? Perhaps the article you drafted is bumping into Wikipedia’s notoriously opaque and unforgiving submission process? We’ve been writing and editing Wikipedia articles for almost 15 years, both professionally and personally. Not only are we thoroughly conversant with the encyclopedia’s policies; we can also translate this esoterica into English. For example, every claim you make needs to be footnotable — with a link. So, let’s say you were named one of America’s top neurosurgeons in 2001. Yet the only evidence online comes from bios you’ve written. For this reason, we can’t cite this award; we need documentation from a neutral, high-authority third party. Such stringent rules are a big reason Wikipedia maintains its reputation as everyone’s go-to site for unbiased facts. We’ll chat about your vision and Wikipedia’s nuances, and outline your article. The more info we have, the better equipped we’ll be to make your case. (This is especially important for living people.) So, send us any links you deem beneficial. Profiles or mentions in major media and books are best; awards and citations are also helpful. We’ll translate all this info — together with our own research — into a proposed article. 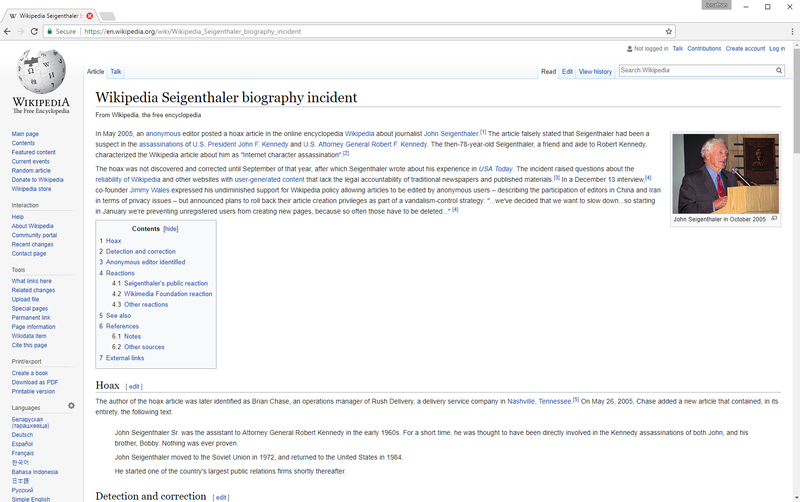 Using our custom Wikipedia template, we’ll present the text to you for approval. Should anyone edit your article, we’ll respond to these changes for one week. When you spot a problem or want to make an update, we can address these issues on an as-needed basis. This plan assumes that you’ll monitor the articles yourself. If you’d prefer that your online reputation be protected on a continuing basis, we can take on the monitoring ourselves. When a change needs to be made, we’ll alert you to the situation, strategize about a solution, and then implement it immediately.